An elevated site at the western edge of the Simonside View Estate with planning permission for a split-level detached house. The site is south-facing and extends to approximately 0.05 hectare (0.12 acre). 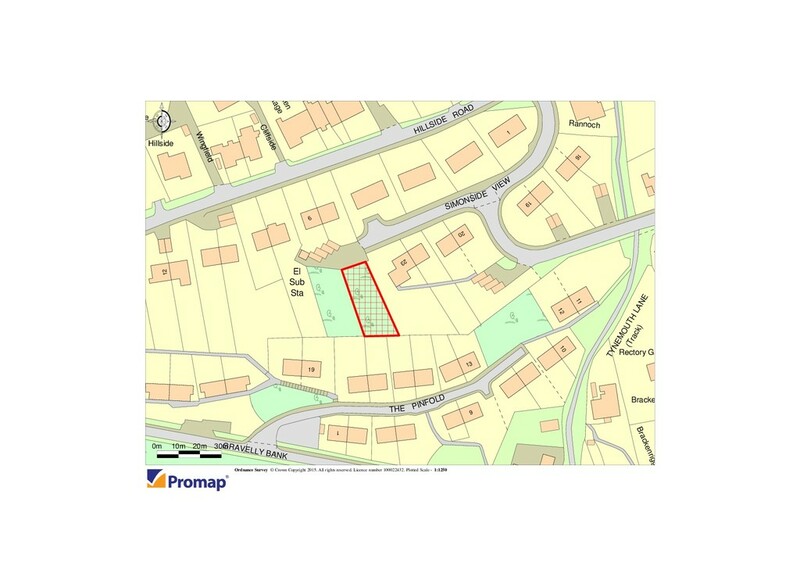 Located between Gravelly Bank and Hillside Road the site is within walking distance of the village centre and all amenities. Approved plans provide for accommodation comprising Entrance Hall, Cloakroom, Kitchen, Dining Room, Sitting Room, 3 Bedrooms and 2 Bathrooms. The design incorporates an integral garage and south-facing verandas off the sitting room and principal bedroom.